Motion detection is a crutial step in the 3th generation of surveillance system. Two principal approches of detection techniques could be classified: background subtraction and optical flow, depending on the camera types (fixed or pan-tilt-zoom). We emphasize in this project on the background modeling which is the fundamental process in background subtraction method. We review some of the classical algorithms such as running average, guanssian and etc and propose an adaptive method that improves the quality of detection which suitable for surveillance context. 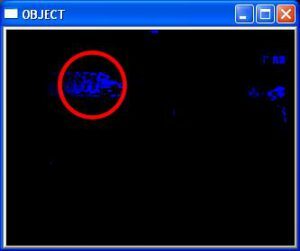 The experimentation is demonstrated with the image sequences obtained from IP Cameras of the PSU’s security system. The computational time of the proposed algorithm is also tested which is executed in a specified real time. The encouraged results show some avantages that may be used in the real situation of surveillance circomstances.